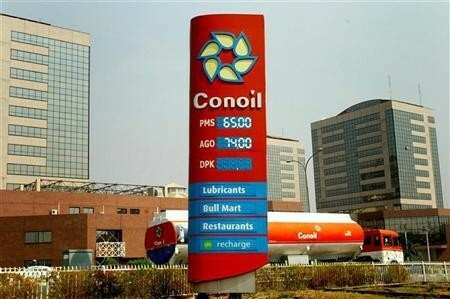 Lagos (INVESTADVOCATE)-Oil marketing major, Conoil Plc on Monday said its pretax profit for the period ended September 30, 2018 increased 12.4 percent to N2.27 billion from N2.02 billion recorded a year ago, and driven by a strong growth in sales volume and a significant reduction in cost of funds. Post-tax profit of the oil marketing major increased 14.3 percent to N1.6 billion from N1.4 billion posted in the same period of 2017, as the company continued to weather the stormy in its operating environment in the country. Turnover of Conoil rose from N70.2 billion in 2017 to N75.8 billion in the review period of 2018, indicating a growth of 7.97 percent. The company in an emailed statement made available to InvestAdvocate said a further analysis showed that Conoil’s earnings per share increased from 196 kobo to 229 kobo, further raising the capacity of the oil marketing firm to increase dividend payment by the end of the 2018 financial year and placing it in a good stead to fulfilling its promise to build a stronger financial position and creating higher values for its shareholders. The leading fuel marketer also made significant improvement in its financial results by recording a 27 per cent decrease in cost of operations while also reducing cost of funds by 22 per cent to bolster sales and profit. It would be recalled that the company’s chairman,Dr. Mike Adenuga (Jr), promised shareholders at its last annual general meeting, that conscious efforts would be directed at achieving better execution of value-added products and services to grow its business, while also assuring them that the company’s long-term future was guaranteed. “We would continue to explore opportunities to deliver solid financial results and increase competitive returns on our shares. Our focus would be to further consolidate our competitiveness in the industry, remain committed to explore and develop emerging markets while holding our grounds in areas where we have competitive advantage,” he said. “Greater attention would be devoted to cutting operational costs in the different segments of our business, while still maintaining and improving the quality of our products and services,” the Chairman added.